Former SA President Peak Sen Chua served as a student representative on the student experience task force. After a year of evaluating student satisfaction, officials and student leaders sketched guiding principles to improve student life next academic year. The student experience task force, which the Board of Trustees launched in September, released a drafted set of guiding principles Friday for officials to follow. The recommendations cover six areas of student life – academics, finances, safety, service and facilities, institutional culture and community – which members of the task force said captured a “macro-level” scope of student sentiments and will guide officials as they make administrative changes to better student life. “The emerging goals are organized by guiding principle and will lay the groundwork for the University to determine and take specific actions to improve the student experience,” the report – which was obtained by The Hatchet – read. The Board created the student experience task force after University President Thomas LeBlanc indicated the student experience would be a top priority of his tenure. The task force will dissolve at the close of the academic year, Student Association leaders said. Sydney Nelson, the SA’s former executive vice president who served on the task force, said the guiding principles will be published on LeBlanc’s strategic initiatives website to guide the way officials approach community concerns next academic year. She said because improving the student experience is a “crucial” part of LeBlanc’s goals, students need to be involved in an ongoing conversation about how the guiding principles can be used to create real change. LeBlanc’s first year in office has seen major updates to student life – including major changes to the Colonial Health Center, an increase in the amount of money allocated to student dining plans and a planned merger of the Division of Student Affairs and the Enrollment, Management and Retention Division. LeBlanc, an ex-officio member of the task force, said officials can use the guiding principles for future proposals and make more informed decisions about specific issues related to the student experience, like housing and class registration, that they wouldn’t know about without student input. Nelson Carbonell, the chairman of the Board and an ex-officio member of the task force, said members of the task force held nine listening sessions with nearly 300 students and used their feedback to shape the guiding principles, “which provide the framework for the administration moving forward.” He said officials will establish goals to meet the principles as a next step. During listening sessions, students indicated an overall lack of school pride and community, citing little advertising for athletic events and few campus hangout spots. Students also indicated the need for further University transparency about finances and expressed concerns about a lack of medical services on the Mount Vernon Campus, according to the report. Former SA President Peak Sen Chua, who also served as a student representative on the task force, said officials should first address the “community-building” principle next academic year because the subject will affect all other principles and aspects of the student experience. 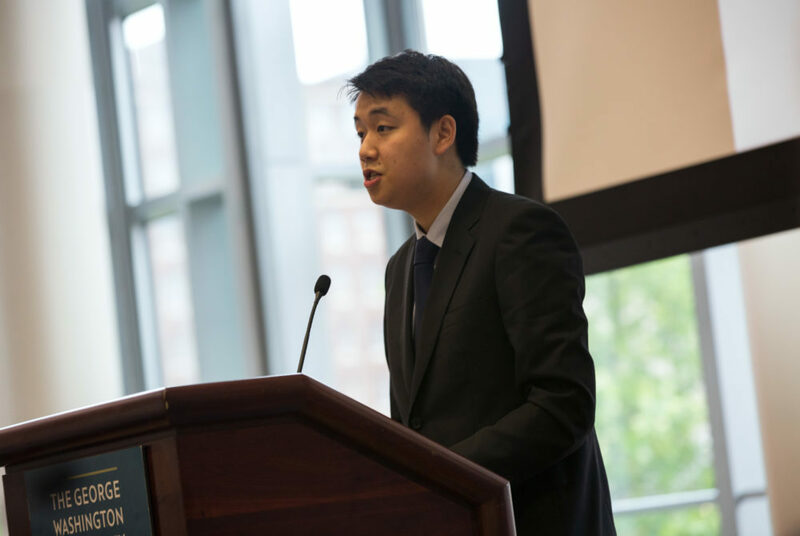 “Moving forward, student leaders and advocates will use these guiding principles as a tool to advocate for specific changes to University policies and tie them into values the University committed to in improving the student experience,” Chua said. Student affairs experts said that while the guiding principles allow officials to better gauge student satisfaction among thousands of students, they serve as a big-picture idea of concerns on campus with no tangible steps to move forward. “If you were carrying out guidelines, would you spend next year forming your task force and reviewing, or finding a balance between reviewing and putting goals into action?” he said. Andrew Johnson, the assistant director of residence life and housing at Whitman College, said the guiding principles are sufficient to grasp student satisfaction, but officials can’t move forward unless they also develop proposals that address each aspect of the guidelines. Kelly Hooper, Johnny Morreale, Lauren Peller, Parth Kotak and Kate McCarthy contributed reporting.